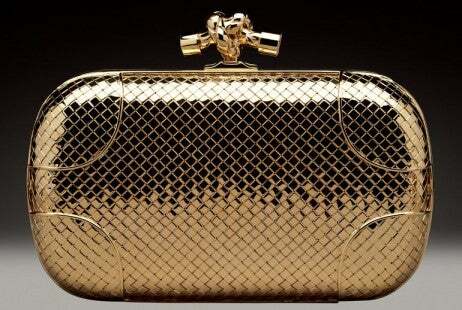 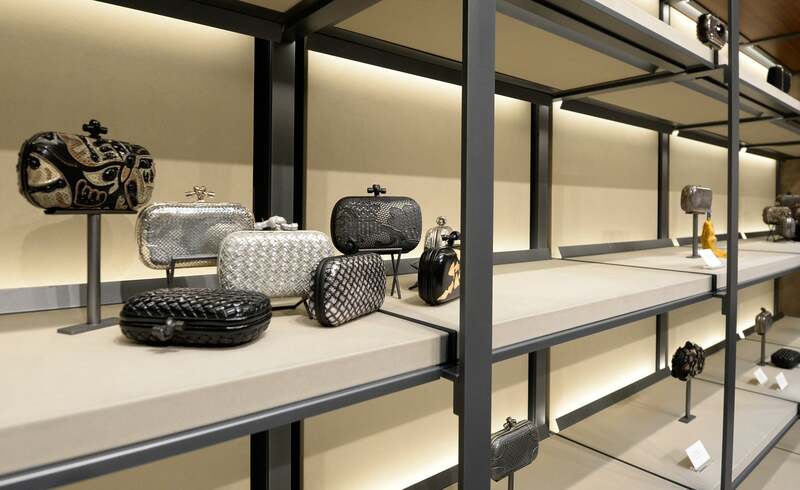 Bottega Veneta is celebrating 15 years of Tomas Maier’s creative direction with The Knot: A Retrospective exhibition in their iconic Bond Street store in the heart of London. 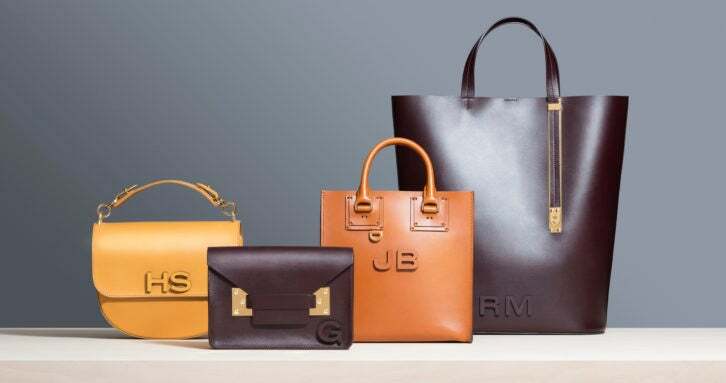 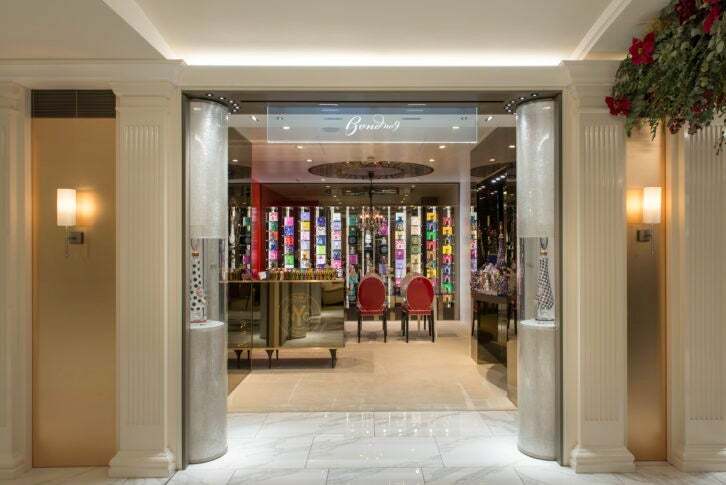 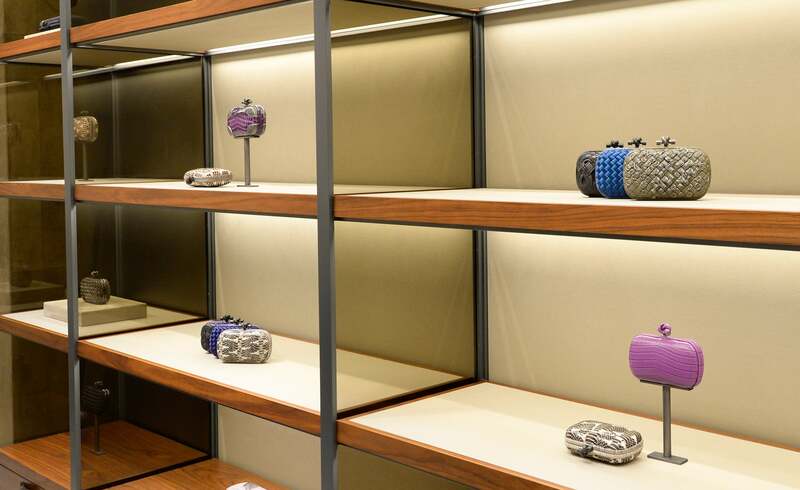 The travelling exhibition – which has visited Vienna and Singapore and is set to visit Bahrain later this year – has seen the Bond Street store transform into a sleek walnut and suede museum like space which showcases over 100 variations of the iconic Knot clutch. 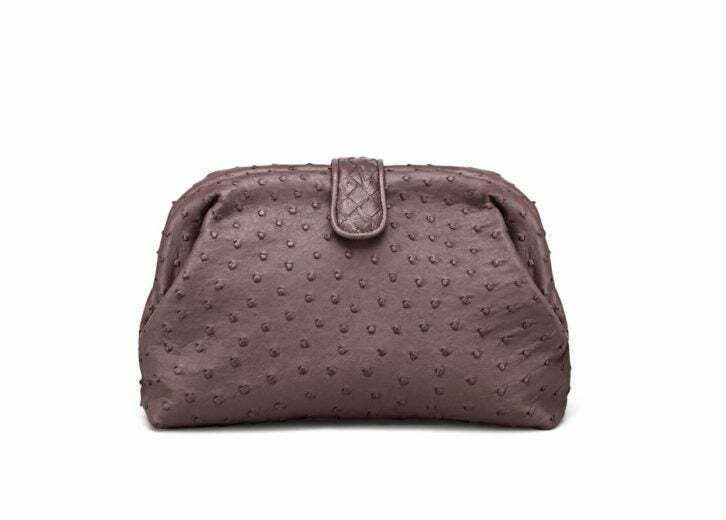 Highlights include the Memory Knot crafted from Nappa leather and finished with aluminum film and the Vintage Jewel Knot clutch embroidered with antique crystals.